AngelHack’s HACKcelerator program connects ambitious hackers with thought-leaders and experienced entrepreneurs to help them become more versatile and create fundable startups. 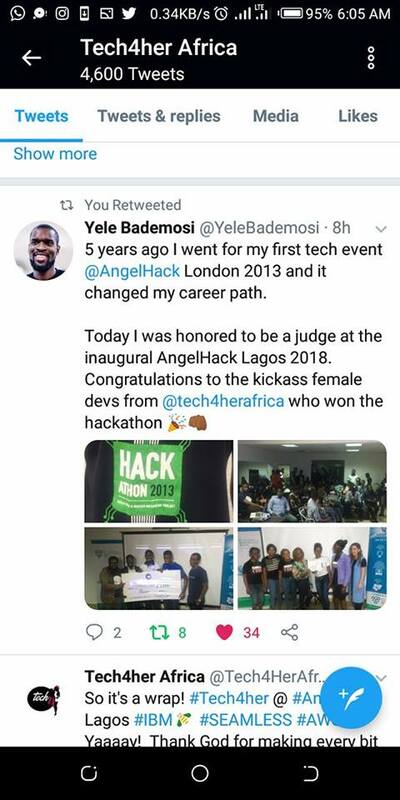 With a startup portfolio valuation of $70m, acquisitions from tech giants such as Google, and industry innovators such as BOX, AngelHack is the highest valued pre-accelerator in the industry active in 106 cities around the world. 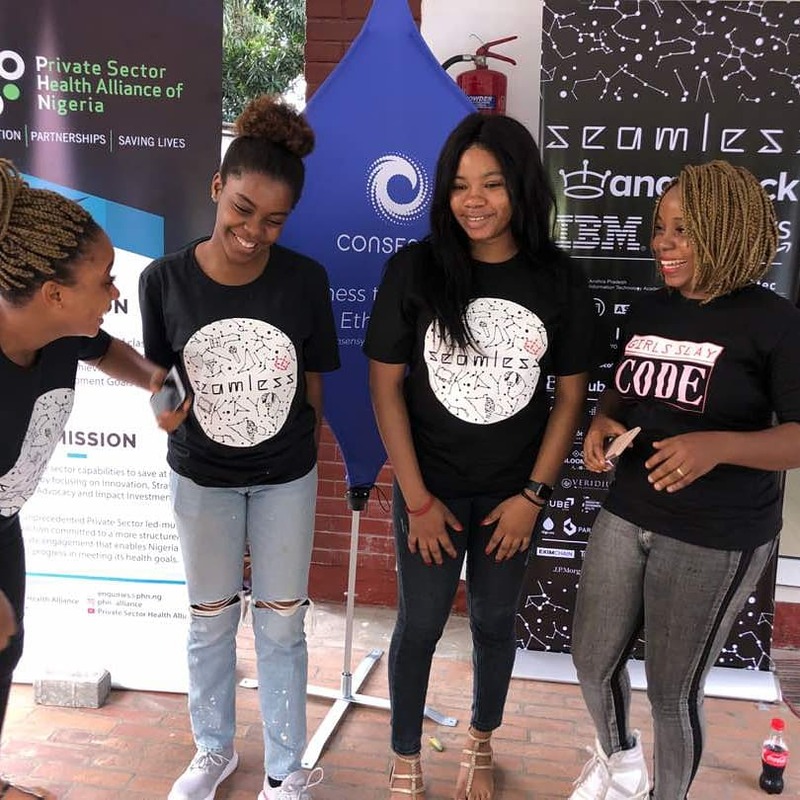 This is the first Hackathon organized in Africa. 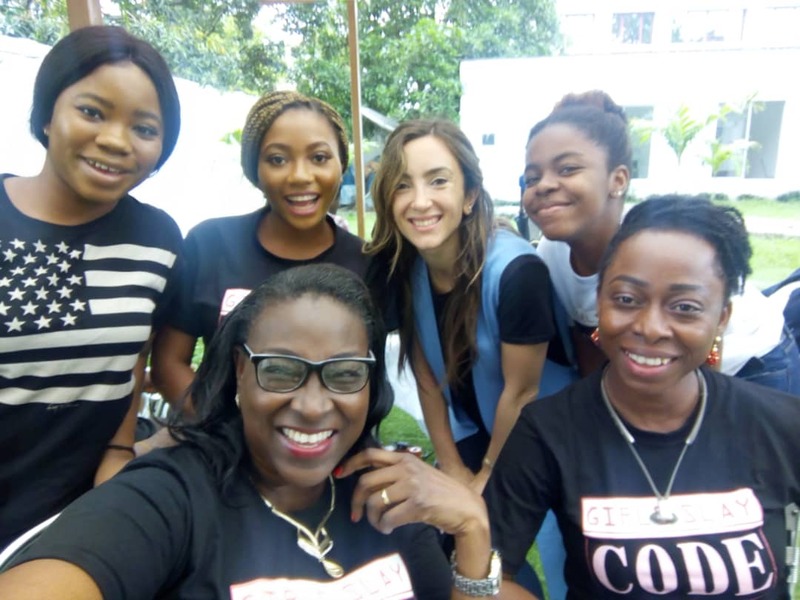 The team is led by Mrs. Elizabeth Edwards (also Founder, Tech4Her Africa). 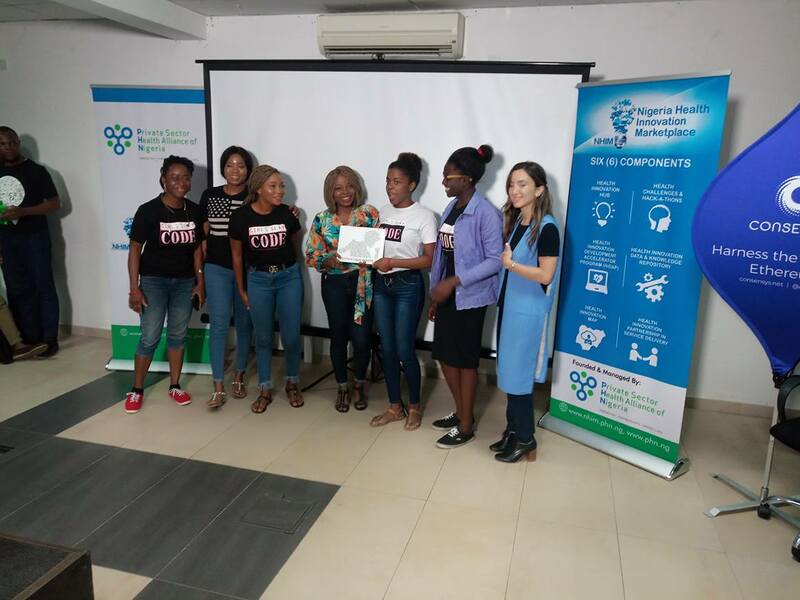 Mentors on this team are: Mrs Fayo Williams (Certified Business Consultant) & Dr. Roselyn Isimeto (Lecturer at Computer Science, UNILAG). The team developed Tatafo App- Watson AI based app that helps university students access information and resources instantly at a click. 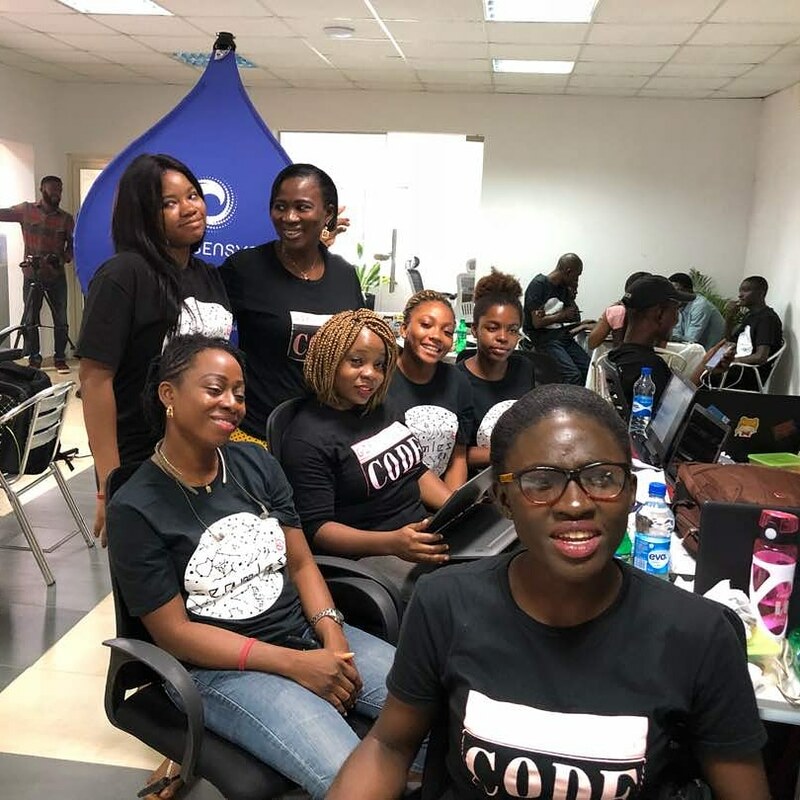 “In the mobile powered economy, University students need instant access to answers just like they can have on Google.” said Mrs ELizabeth Edwards (Team lead & Founder, Tech4her Africa). 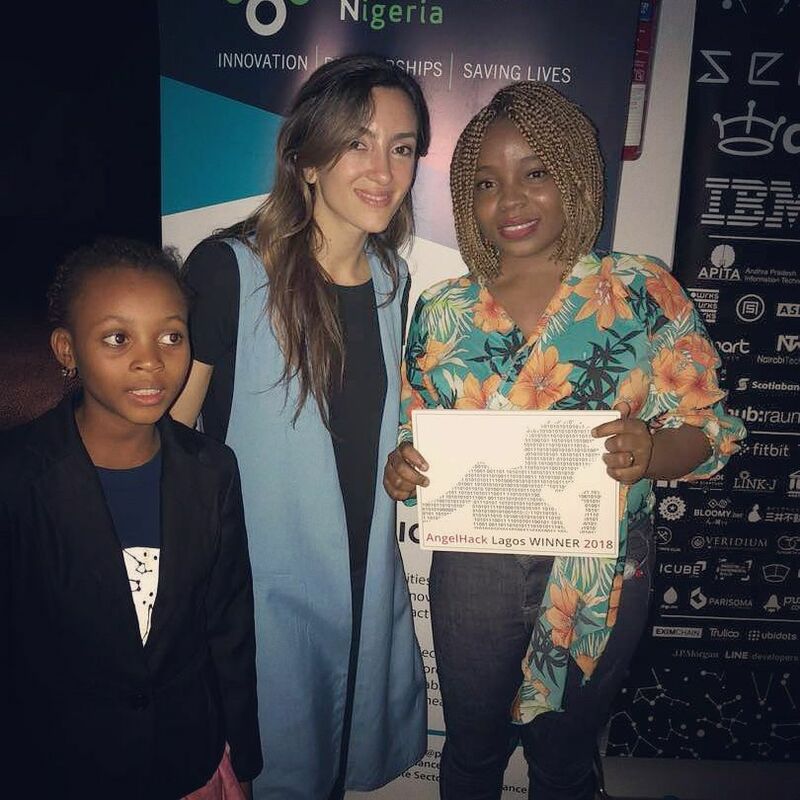 We hope this new achievement can further encourage others to join Tech4Her Africa, help them reach more of its target audience and foster new partnerships. Learn more about Tech4her Africa on their website (www.tech4herafrica.com).